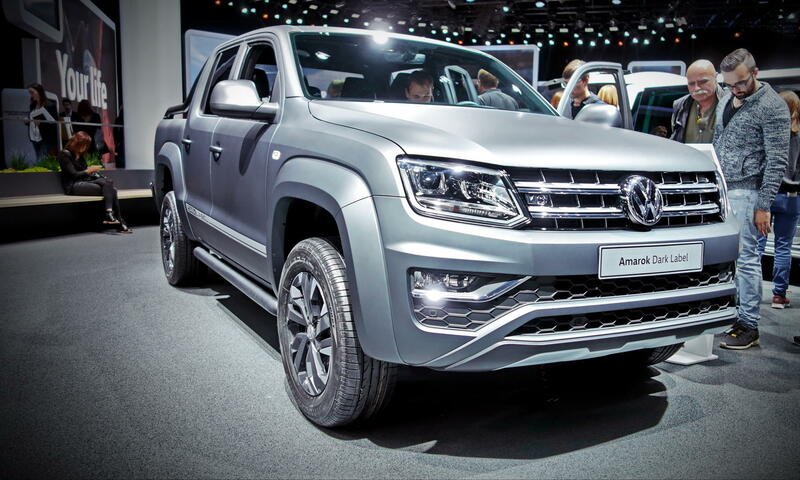 The next generation VW Amarok could be built on a Ford Ranger platform as part of a new alliance between Ford and VW. Ford Motor Company and Volkswagen have announced a limited alliance. As part of the alliance, Ford will develop and build medium-size pickups and commercial vans for the global market for both companies. The vehicles will be sold with either a Ford or Volkswagen brand name in South America, Africa, and Europe. Volkswagen will develop and build a city van for both automakers. Ford CEO Jim Hackett says neither company will own part of the other. "Ford and Volkswagen will continue operating as two separate and competitive entities," Hackett said during a joint press conference with Volkswagen CEO Dr. Herbert Diess. "We have historic brands with deep ties to our respective countries and we couldn't imagine our future in any other way." Hackett says alliances like this can help automakers mitigate the growing investment costs at a time of rapid change for the industry. Similar types of alliances have been announced recently, in particular, General Motors and Honda, which are collaborating on autonomous vehicle development. Volkswagen will not sell any of the pickups Ford builds for it in North America - thus protecting Ford's F-150 truck sales. The alliance could expand to include development of electric vehicles, automation, and mobility services.